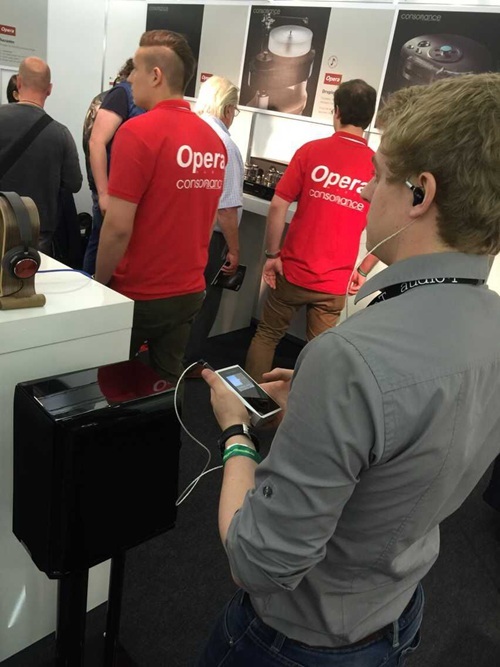 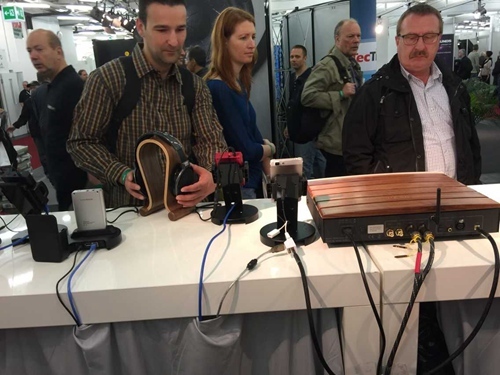 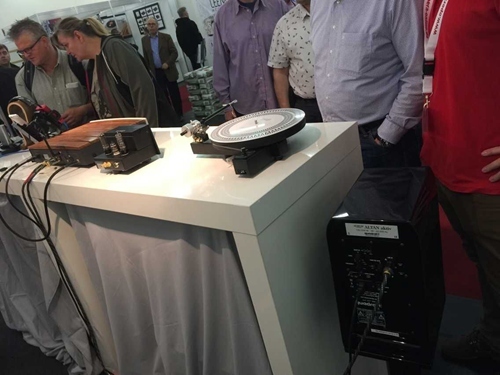 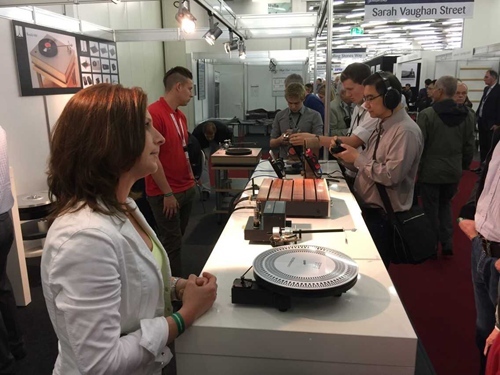 In May 2015, as in previous years, the HI END 2015 Show was held in Munich. 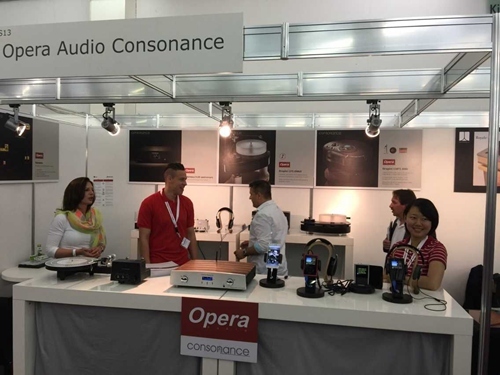 The High End Show for Excellent Home Entertainment is the theme of the exhibition. 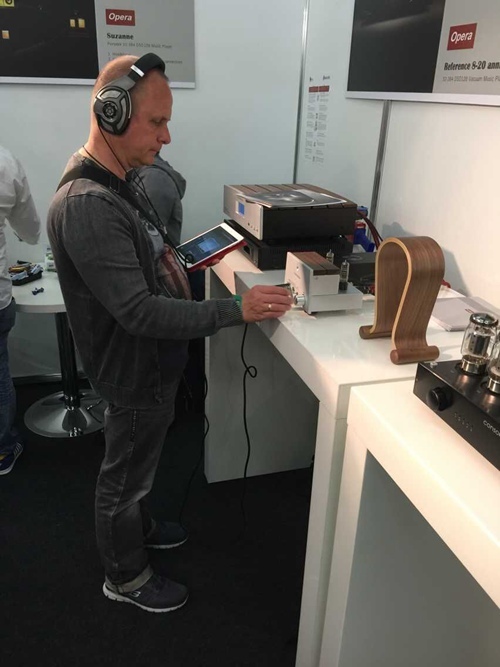 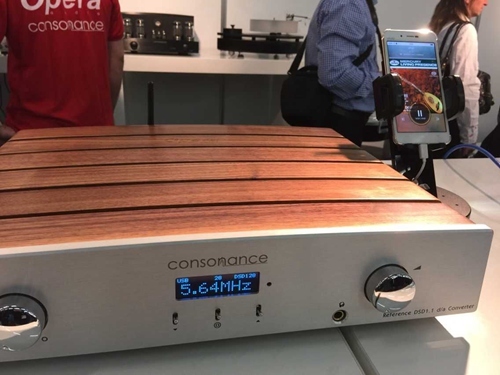 Our portable music player Suzanne/ Reference8-20 anniversary music player and Reference DSD1.1 d/a convertor were shown for the first time. 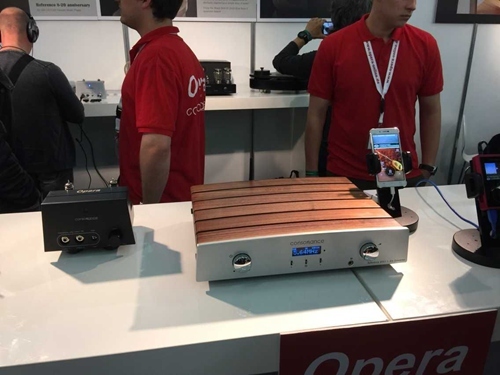 We also showed promoted headphone amplifier Cyber20/ turntables and tube amplifiers. 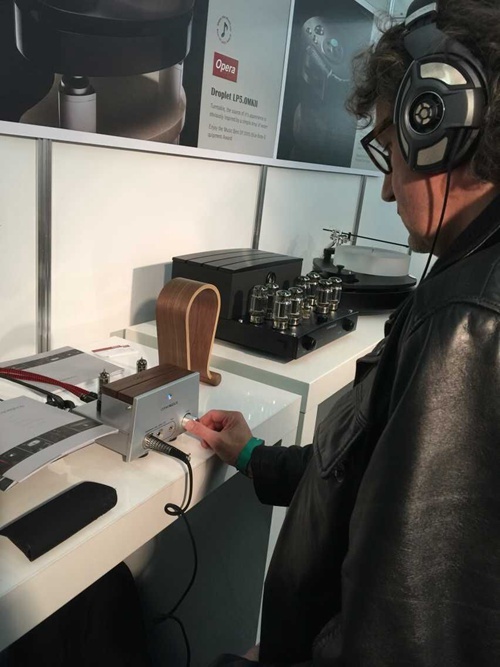 Suzanne - Portable 32-384 DSD128 Music Player is one of the most popular item. 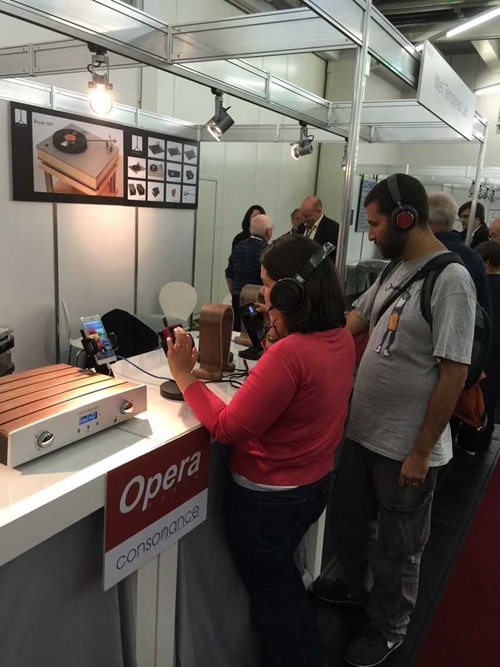 Suzanne cooperated with high–impedance headphones HD650/ HD700. 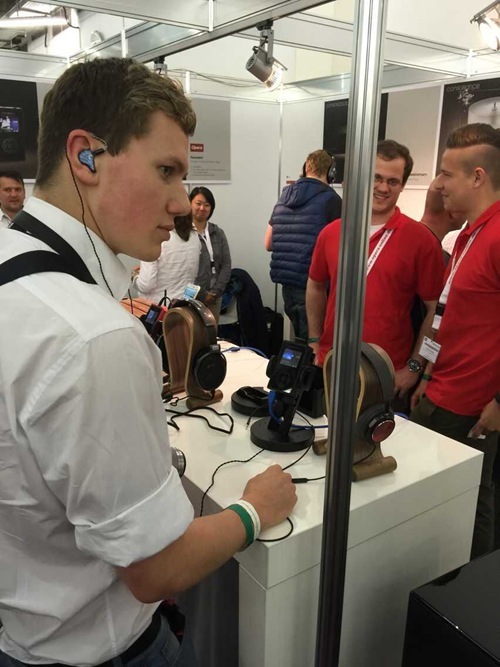 Suzanne cooperated with in ear headphones. 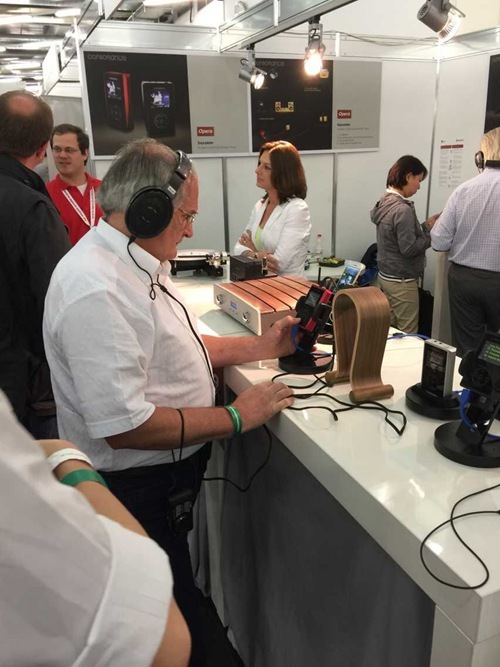 Suzanne cooperated with Cyber20 and active speaker. 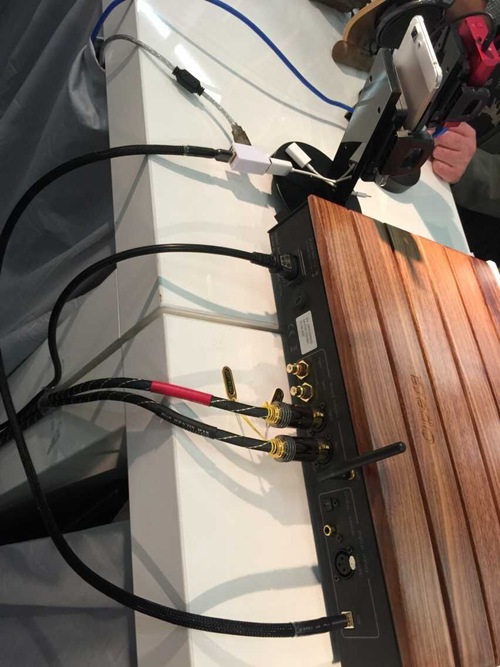 Suzanne couples with Dock connect to the local LAN with internet will enable the network function include DLNA APP remote control and internet radio. 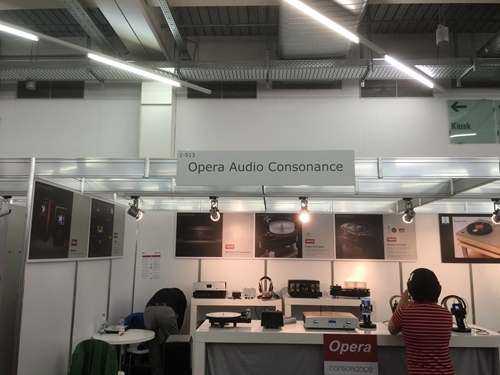 Reference DSD1.1 cooperated with active speaker. 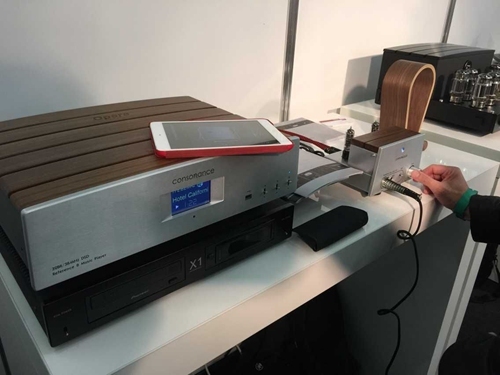 The clients can use APPs to play DSD and PCM files in the apple and andriod phone and pad with a Lightning to USB Camera Adapter cable for iOS or a OTG cable for Andriod connecting to the Reference DSD1.1. 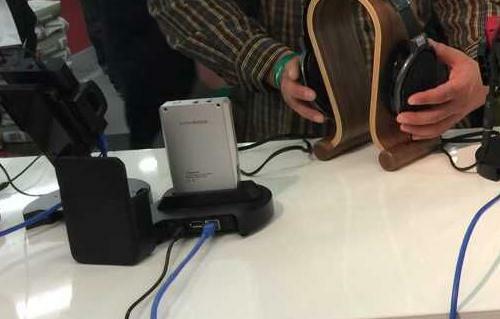 Reference DSD1.1 also has a Hi-Speed Audio USB2.0 interface for the digital input from computer supporting Native DSD streams mode, this is pure orignal DSD signal which never be converted.